There’s no point pretending this is a dish designed with the dieter in mind, but it certainly hits the spot. 2. Wash the Swiss chard and blanch it in boiling water for a couple of minutes, then chill under a cold tap and cut into manageable pieces. 3. 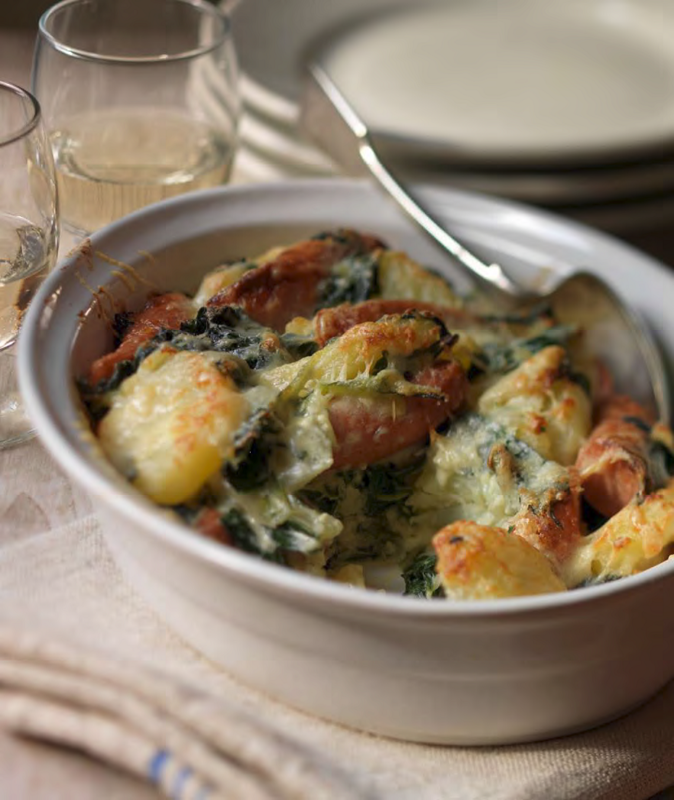 Mix the butter and mustard with the warm potatoes, then transfer to a medium-sized oven dish with the Swiss Deli Frankfurters, chard, potatoes, crème fraîche and most of the Gruyère. 4. Season with salt and pepper, mix together loosely and top with the remaining grated Gruyère. 5. Bake in the oven for 30 minutes until crisped, then serve immediately.